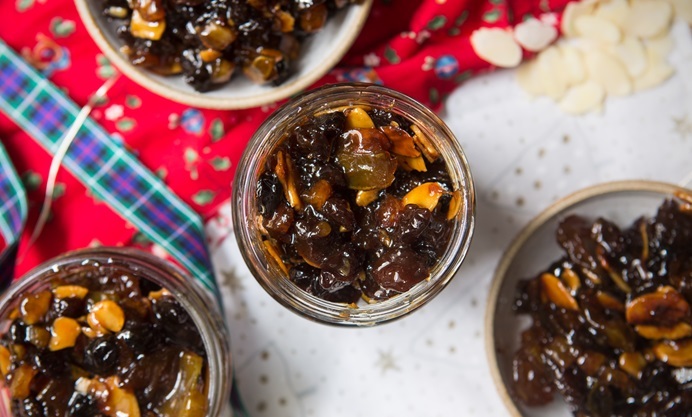 Why not make your own mincemeat this year? It's easy and gives you so much more control of the ingredients. Karen shares a family recipe for a fat-free mincemeat, packed with vine fruits, citrus peel, nuts and apples, generously laced with brandy. I like the idea of Christmas in a jar . . . there are so many Christmassy things that come in jars and bottles, wine and champagne obviously, as well as lovely preserves such as fruit in brandy, jams, conserves and of course, mincemeat. As well as buying all the lovely stuff that comes in jars, and believe me I can shop for Britain on the run up to Christmas, I am an avid preserver and I always make my own mincemeat, as well as chutney, jams and pickles. The idea is that we have lots of lovely homemade preserves to take us through the festive period and beyond, as well as having a few spare jars to give as gifts, which are always appreciated by foodie friends and family. 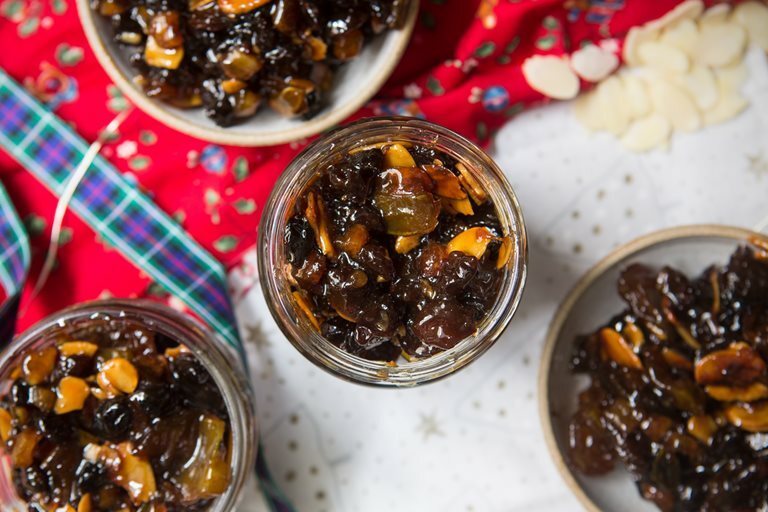 My 'Christmas in a jar' recipe today is a great recipe for a fat-free mincemeat, packed with vine fruits, citrus peel, nuts and apples and generously laced with brandy, it’s a family recipe and is absolutely divine! I don’t know why more people don’t make their own mincemeat, as it is so easy and it’s a thousand times better than most commercial brands. This mincemeat is so fruity and spicy with a lovely light texture, it’s a real star of the mincemeat world. Because it doesn’t have any fat in it, you have to cook the apples and fruit before adding the brandy. This ensures the mincemeat keeps for a long time and the apples don’t ferment. It also means that the vine fruits are plump and succulent. The texture is not as cloying or heavy as commercial mincemeat with added suet, which means it’s a lovely preserve to dollop on top of ice creams and creamy desserts, a sort of boozy fruit compote. And, and it makes the most amazing mince pies ever. I am sharing this old family recipe for mincemeat below, the reason it has apples in it is all due to my grandmother who had a small orchard and was always looking for ways to incorporate apples into her cooking, baking and preserving! As for the fat-free element, that is down to me, as one year I had no suet left for my mincemeat and I had used all the butter in my Christmas cake, and once the family tried my fat-free mincemeat they said it was better than the usual fatty version. Do try this recipe, I guarantee you will never buy ready made again.